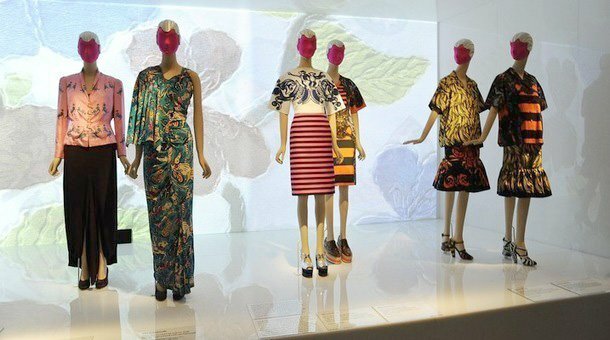 Thanks to digital printing, we are seeing more motifs on clothing than ever before. Think foreign postage stamps at Mary Katrantzou; dragonfly motifs at McQueen; Renaissance art prints at Dolce and Gabbana. But large, kitschy prints are nothing new in fashion, especially for the vintage aficionado–‘novelty prints’ have been prominent in fashion for decades. 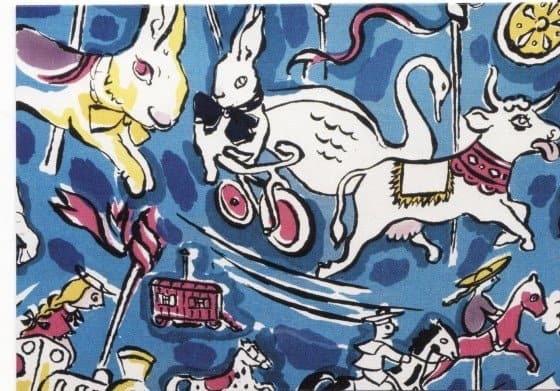 Back in the day, many of these prints were borne of a collaboration between artists and fashion designers as far back as the 1920s, with one of the most notable pairings being designer Elsa Schiaparelli and surrealist artist Salvador Dali in the 1930s and 40s. 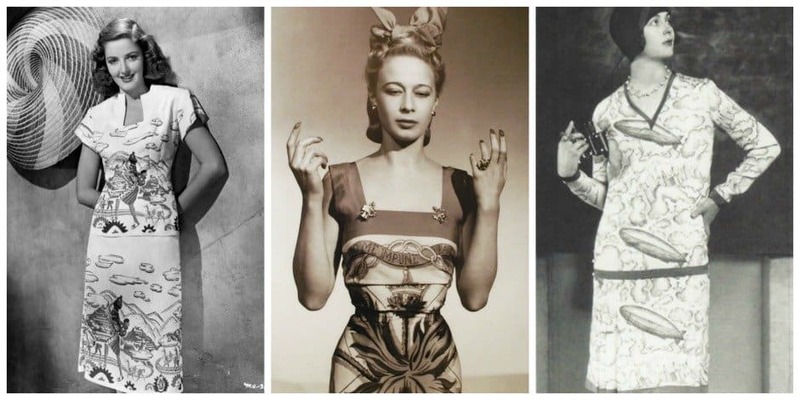 Schiaparelli’s work with prints was especially prolific and elegant–many of her designs could still easily be worn today, as the Metropolitan Museum of Art‘s 2012 show, Schiaparelli & Prada: Impossible Conversations, so adeptly pointed out. 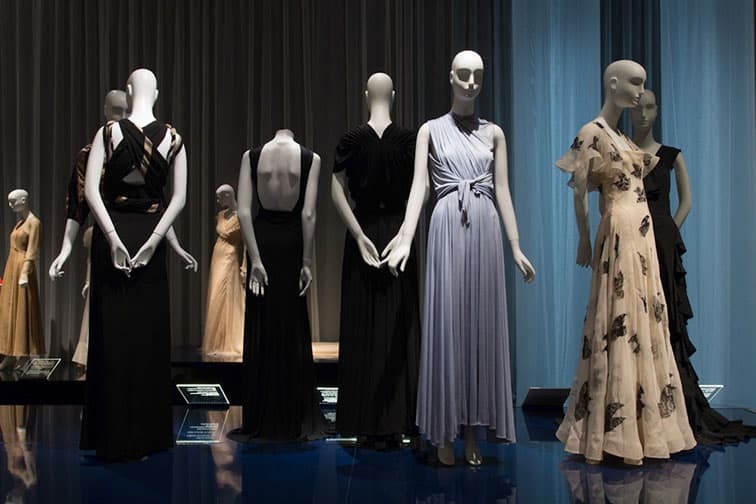 In fact, can you tell Schiaparelli’s work from the 1930s from modern Prada in the picture from the Met’s show, below? Some of the most common motifs were domestic animals (dogs, rabbits, cats), floral clusters and foliage, often with a polka dot background. In fact, the polka dot was possibly the defining print of the day. But not all clothing had a pattern: dyeing techniques from this era just started experimenting with pastels, so solid textiles in dusty rose, lilac, buttery yellow and cornflower blue were all the rage. There can be little doubt that the 70s are having a huge moment right now: from midi-length skirts, ‘angel wing’ sleeves, and maxi dresses, it feels like this summer is nostalgic for the original ‘summer of love.’ Although may associate these silhouettes with the 70s today, guess which era designers from the 70s got their inspiration from? That’s right: those designers probably looked into grannie’s wardrobe to get a few ideas. 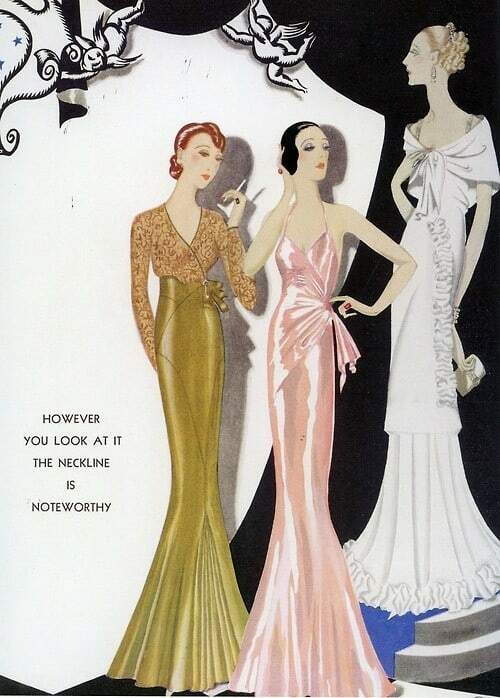 And yes, they also used a lot of print: think Ossie Clark and Biba, for example. 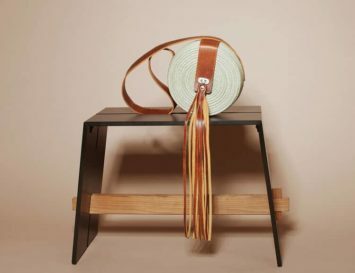 For me, it’s incredible how there seems to be very little new in modern clothing, but that’s not a bad thing at all–it makes mixing and matching vintage pieces into your wardrobe all the simpler. And adding vintage to your closet not only reflects the eras they were created in, but it adds a truly unique and whimsical angle to a vintage wardrobe. 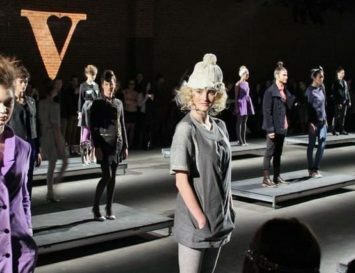 And of course, hunting for vintage clothing is the perfect way to stay eco-conscious, while being on trend. Love this look? 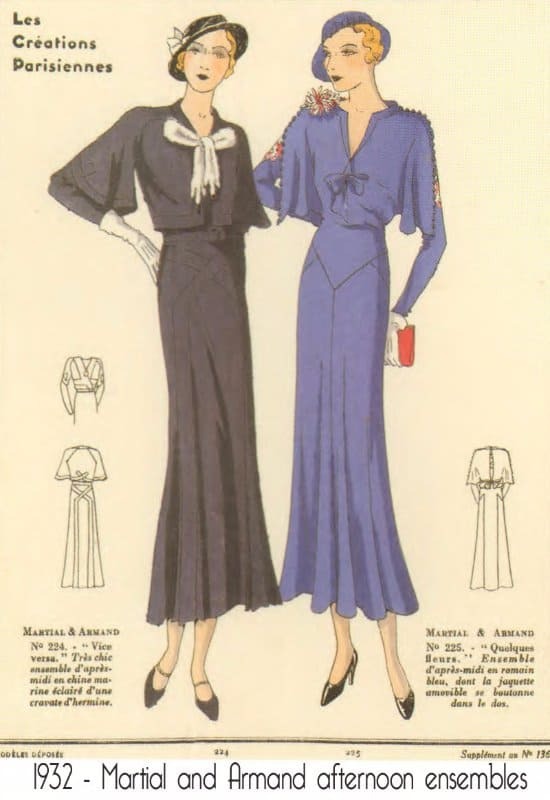 Click here to see more amazing vintage clothing from the 20th century at vintage specialist shop Dorothea’s Vintage Closet. Great article! Wish it was longer. Thanks for sharing. Totally agree! It is a great article and amazing photos.